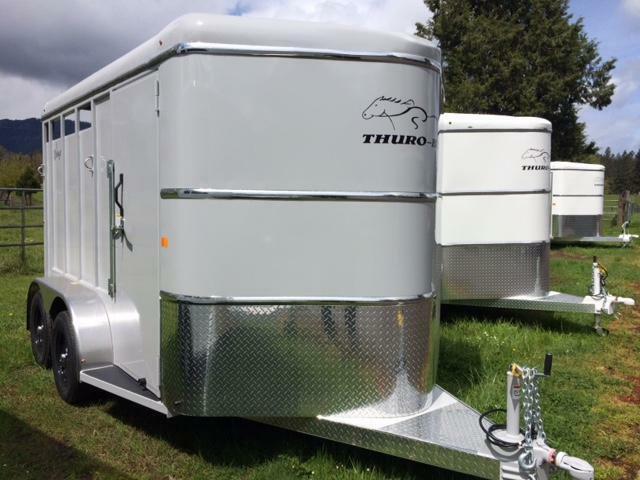 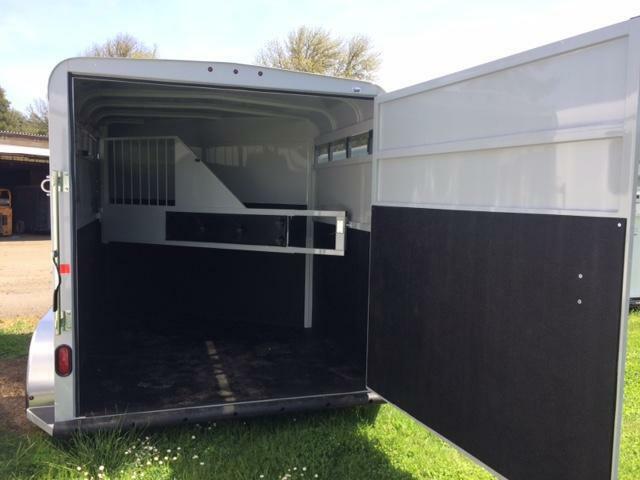 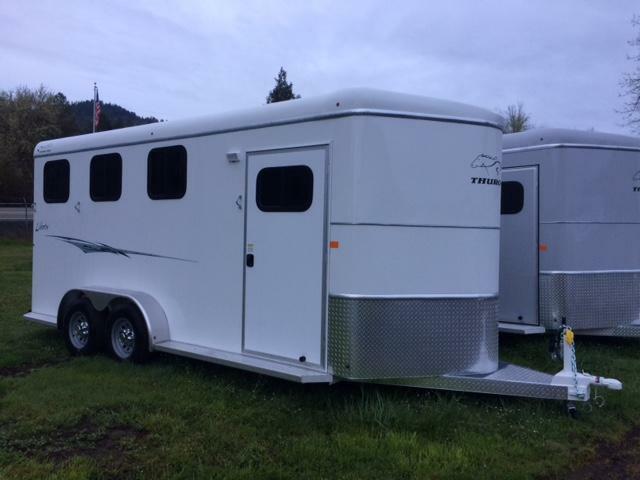 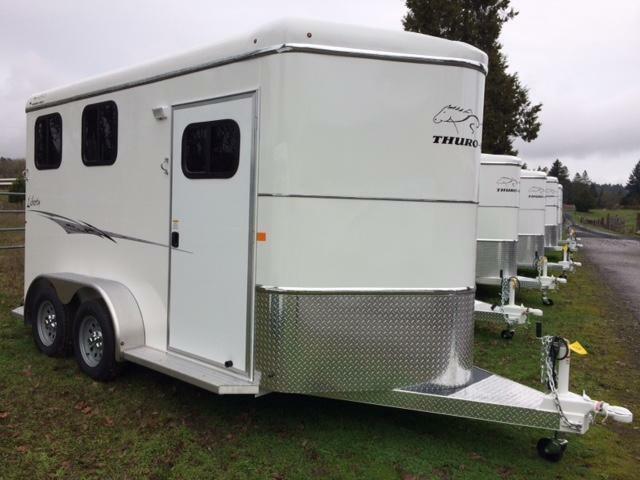 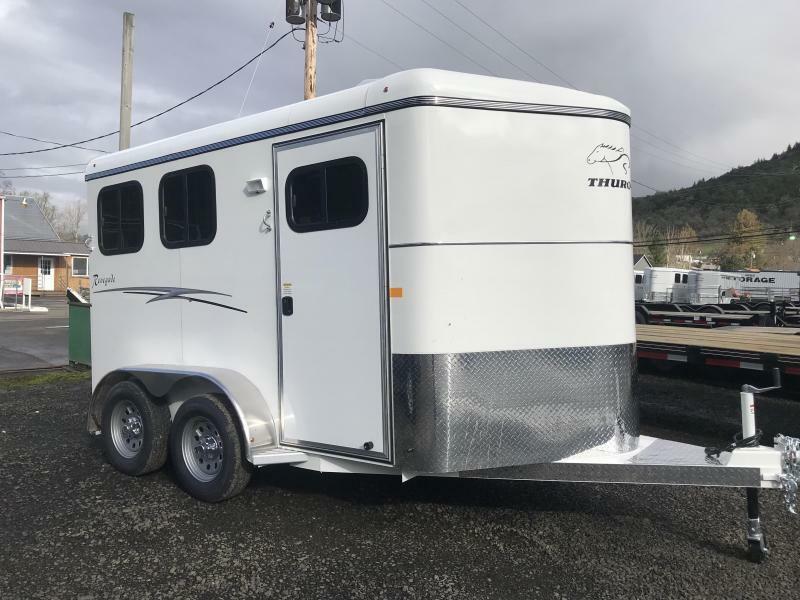 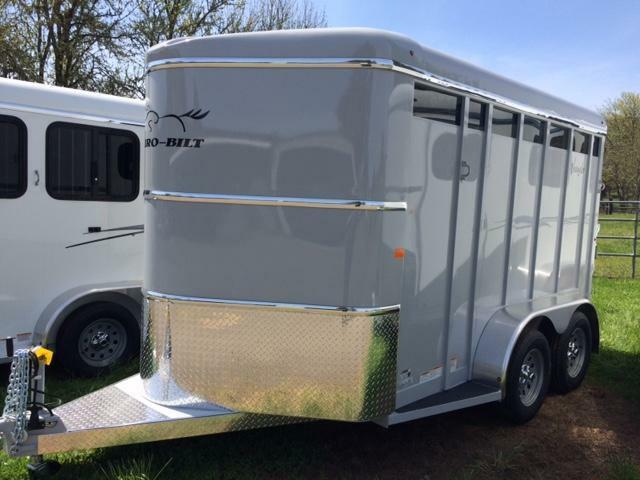 2018 Thuro-Bilt 2H Wrangler Plus Horse Trailer, 13' Long, 7' Tall, 7K, Single Wall Construction, Sealed & Enclosed Diagonal Wall, Telescoping Padded Dividers, Enclosed Rear Door, Swing Out Saddle Tree, Caulk Pkg, Floor Mats, Head & Kickwall Mats, Rear Door Mats, RV Side Door, Rubber Dock Bumper, Plexiglass Head & Kickwall, LED Lights, Aluminum Fenders, Radial Tires. 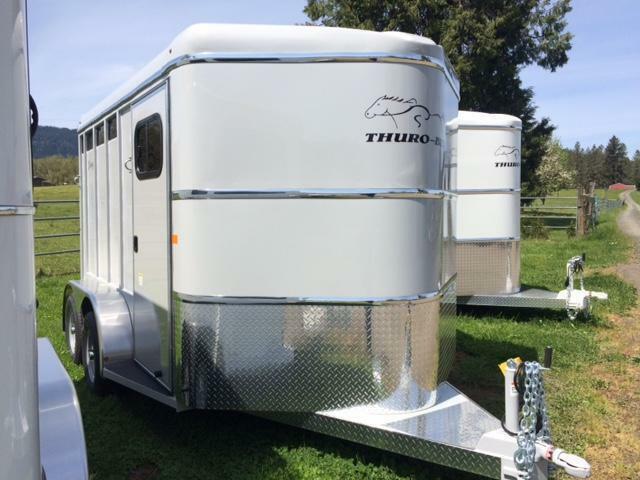 GRAY PAINT & GRAY WHEELS. 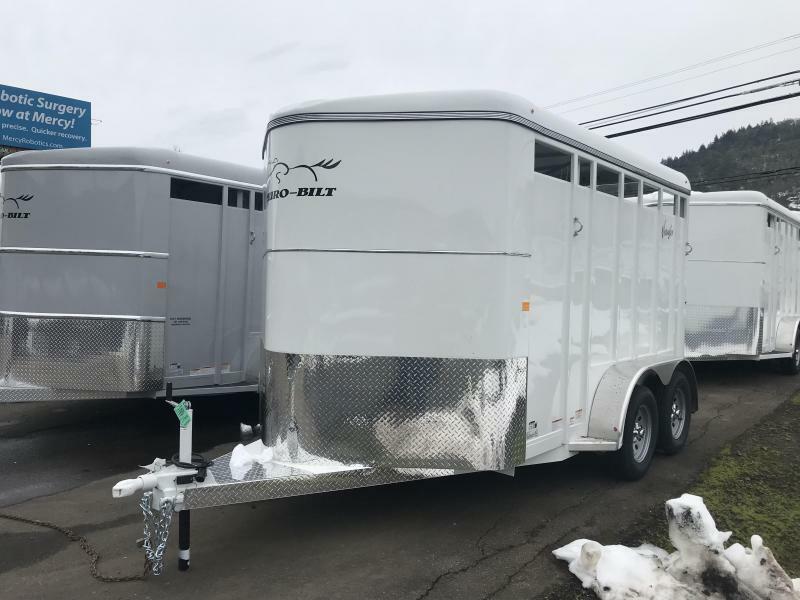 Manufactured with Quality Materials: Galvanized Sheeting, 2 5/16" Bulldog Coupler, PPG Epoxy Primer & Polyurethane Paint, Rockwell American Axles.